Super Lawyers | Reiter & Walsh, P.C. Super Lawyers | Reiter & Walsh, P.C. 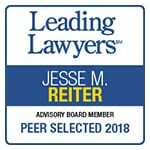 There are more than 40,000 attorneys in the state of Michigan, and this month, Jesse Reiter was listed in the top 10 by Super Lawyers Magazine. In addition, Reiter was ranked as one of the top 5 Consumer Lawyers, and his partner, Rebecca Walsh, was listed as one of the top 25 Women Consumer Lawyers by Super Lawyers Magazine. Reiter, who is Chair of the Professional Negligence Section of the AAJ, has been recognized as a top lawyer by Super Lawyers Magazine for the last 6 years. Walsh, who serves on the executive board of the Michigan Association for Justice, has received awards from Super Lawyers Magazine two years in a row, including being listed as one of the top 50 Women Michigan Super Lawyers for 2012. Reiter and Walsh have recently been given other awards as well. Reiter has been honored as being one of “The Best Lawyers in America” since 2007, and this includes an award for 2014, which was announced in August. Walsh is honored as being one of “The Best Lawyers in America 2013.” The firm, Reiter & Walsh, P.C., is currently listed by US News as one of the best firms in the country: US News and World Report/Best Lawyers: Best Law Firms, 2013. Reiter and Walsh’s awards were just announced in the September 2013 issue of Super Lawyers Magazine, and in a special section in Hour Detroit Magazine. We are pleased to announce all the awards the partners received from Super Lawyers this month: “Top 100 Michigan Super Lawyers 2013 (Jesse Reiter);” “Top 10 Michigan Super Lawyers 2013 (Jesse Reiter);” “Top 50 Consumer Lawyers (Jesse Reiter);” “Top 5 Consumer Lawyers (Jesse Reiter);“ and “Top 25 Women Consumer Lawyers (Rebecca Walsh).” Each year, no more than five percent of the lawyers in the state are selected by the research team at Super Lawyers to receive the Super Lawyers honor. Super Lawyers, a Thomson Reuters business, is a rating service of outstanding lawyers from more than 70 practice areas who have attained a high degree of peer recognition and professional achievement. 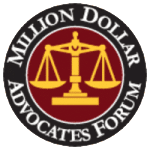 The annual selections are made using a patented multi-phase process that includes a statewide survey of lawyers, an independent research evaluation of candidates and peer reviews by practice area. The result is a credible, comprehensive, and diverse listing of exceptional attorneys. Reiter founded the Bloomfield Hills based ABC Law Centers in 1997 and Walsh joined him as a partner in 2011. Reiter and Walsh have been consumer advocates for over 2 decades; Reiter has been practicing birth injury law for over 25 years and Walsh has been a personal injury trial attorney for more than 20 years, handling many high profile cases. Both attorneys have obtained numerous multi-million dollar verdicts and settlements for their clients. Reiter is passionate about helping injured children and their families, and he attains a great sense of satisfaction from handling even the most complex birth injury cases. He enjoys the challenges of cross-examination and finds nothing more satisfying than a hard-fought cross-exam in which a doctor or nurse admits to medical malpractice. Reiter’s dedication is fueled by his desire to help his young clients obtain their dreams of being as independent as possible. Walsh shares Reiter’s passion for helping injured victims, and she also thrives on getting justice for her clients. Walsh is frequently invited to speak about legal issues and trial practices, and she has published numerous articles on these topics.